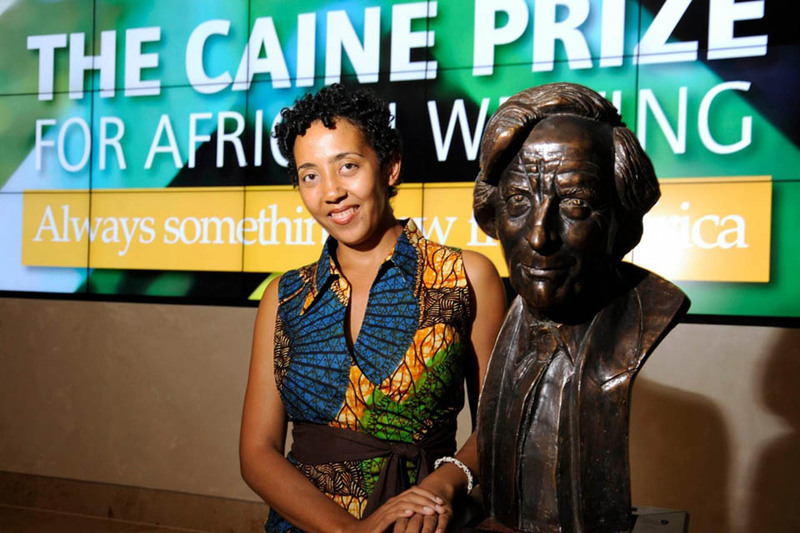 The 16th Caine Prize for African Writing was awarded to Zambia’s Namwali Serpell. In an unusual gesture, Serpell decided to “share the prize” with her fellow shortlistees. What does this gesture mean for the prize? The annual Caine Prize Dinner had moved. A change of venue from the old Bodleian Library built in the elegant English Gothic style in 1602, where the award ceremony for Africa’s most prestigious literary prize has held over the last 15 years. The new venue is the New Bodleian, just across the street from the old one, a sprawling modern building with glass walls and electronic displays. Perhaps it was indicative of the shift that would happen that night, 16 years after the Caine Prize came into being when the winner of the ₤10, 000 prize for short story led what was in effect a mutiny against the establishment. Zambian Namwali Serpell, with her cherubic looks and innocent eyes, which belly an enormous self-assuredness, does not strike one as the rebellious type. And when she was announced as the winner of the prize by the enchanting Zoe Wicomb, Chair of Judges, one immediately thinks, that would be the perfect poster girl for African literature. This she said was as a result of a pact she had made with the other writers; Elnathan John and Segun Afolabi from Nigeria and FT Kola and Masande Ntshanga from South Africa. The pact that whoever won would call up the others and share the prize with them was not unanimous among the writers but it was still a powerful statement. Namwali said she hoped it would “restructure the prize”, an ambitious statement if ever there was one. In the last 16 years the prize has always been structured like this: Five shortlistees emerge, the five go to London, read their stories, engage in promotional activities, eat and wine and in the end, one person goes home with ₤10, 000. This year, there have been changes. The other shortlisted writers, who in previous years would have gone home without a dime, are leaving with 500 pounds as consolation. Apparently this was not enough for the shortlistees this year and they decided to take things into their hands. The choice of Oxford as the setting for this mutiny, if you like, is telling. After all, it is here, not too far from where Namwali, made a statement that Zimbabwe’s greatest writer to date, Dambudzo Marechera made a name for himself as a self-destructive genius. He made an even more violent statement when being awarded the 1979 Gaurdian Fiction Prize when he started to launch dinner plates at a chandelier in protest over perceived wrong. It was from this same Oxford that his anarchist conduct led to his expulsion after threatening to set the school ablaze. Namwali is by no means an anarchist. She is an associate professor at the University of California, Berkeley English Department and is on the prestigious Africa39 list of the most promising African writers under 40 (And I am not just saying it is prestigious because I am also on that list), and there is a method to her mutiny. She will share the prize money with her fellow shortlisted writers but to what extent will she “share the prize” with them? It was only Namwali that posed beside the bust of Michael Caine, along with Baroness Nicholson of Winterbourne, not the other writers. The media have announced Namwali winner of the prize, despite this grand stand. It will most likely be only Namwali going to take up a month’s residence at Georgetown University as Writer-in-Residence at the Lannan Centre for Poetics and Social Practice, as well as get an invite to the Open Book Festival in Cape Town, the Storymoja Festival in Nairobi and the Ake Festival in Abeokuta, Nigeria. 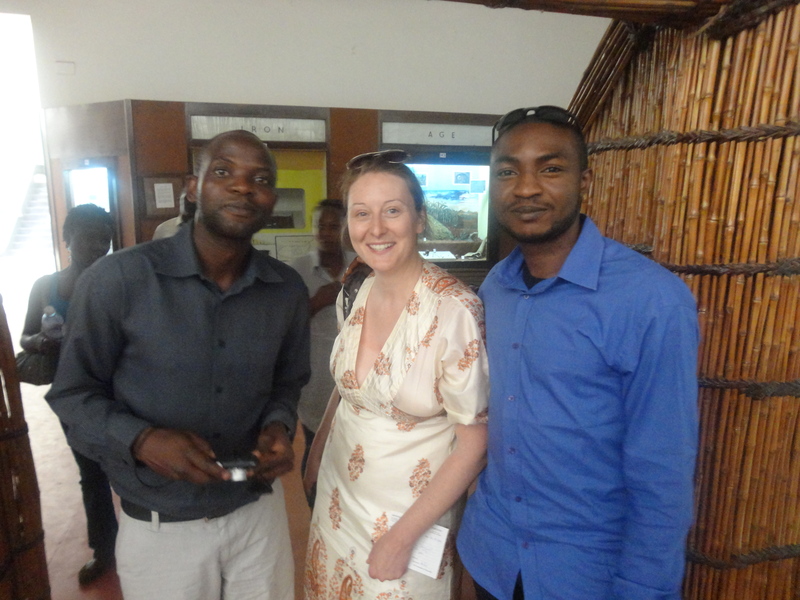 Those are some of the perks associated with winning the Caine Prize. In reality, as some would argue, were the shortlisted writers competing against each other? Technically, not really. The prize is awarded at the discretion of the judges; the writers have nothing to do to affect the outcome of the prize, they can’t improve or enhance their chances of winning it, neither will any misconduct cost them the prize. The days of reading and public engagement in London do not in any way give extra points to the shortlistees. The judges and the shortlistees are not even allowed to interact or engage the same space in a way that could influence the outcome of the award. 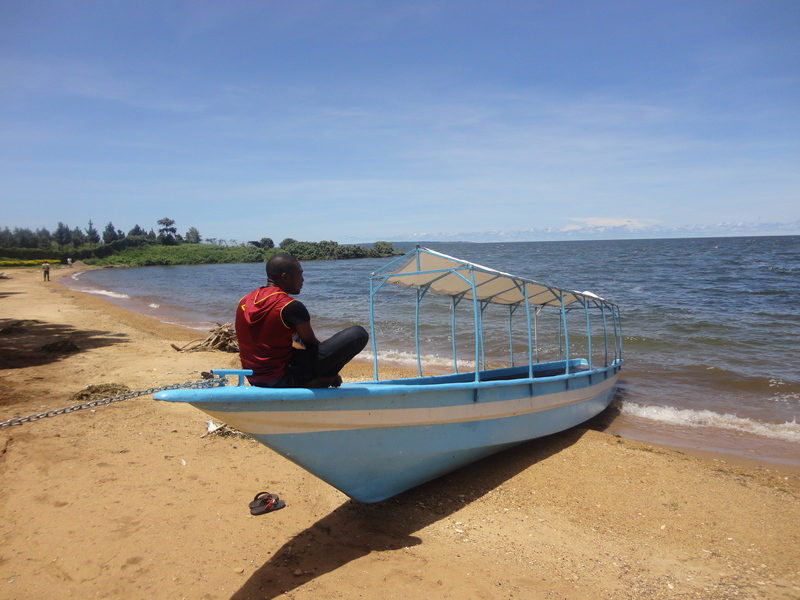 When I was shortlisted for the prize in 2013, an unforeseen situation occurred. By some coincedence, the shortlisted writers and one of the judges ended up attending the same event, a public lunch that included a tour of the gallery of the British Museum. The instructions came in thick and fast. No conversation. No eye contact with the judge. No moving close to her. No gestures to draw attention. Nothing. She is expected to do likewise. And so we spent the awkward evening wandering the gallery of the British Museum suddenly changing direction each time this judge was sighted. And she spent the evening doing the same. A beautiful woman had suddenly been made a Medusa to us. So in reality, it is hardly a contest. The judges sit, read the stories and decide which of the stories will be awarded the prize. But even she admits that the story is a difficult read saying they had to re-read it to get it, and she knew readers would have to reread it again. Not everyone will agree with the decision but almost everyone ought to respect it. Alongside Zoë on the panel of judges are Neel Mukherjee, author of the award-winning debut novel, A Life Apart (2010) and the Man Booker Prize shortlisted The Lives of Others (2014); Brian Chikwava, author and former winner of the Caine Prize (2004); Zeinab Badawi, the prominent broadcaster and Chair of the Royal African Society; and Cóilín Parsons, Assistant Professor of English at Georgetown University who has written on Irish, South African and Indian literature. Namwali winning the prize is also a huge validation for the Africa39 list, which has identified a number of talented writers on the continent, among them several past winners and shortlisted writers for the prize as the future of writing from the continent. Namwali’s winning story ‘The Sack’ is from the Africa39 Anthology and one could see the obvious pride on the face of the anthology editor, Ellah Allfrey, who got emotional after Namwali’s triumph and unusual gesture. How this statement will shape the prize remains to be seen, but no one should underestimate the power of idea. And with this act, Namwali has embodied an idea that some writers may have nurtured over the years.